U.S. Ambassador to Israel: Trump's decision to recognize Jerusalem has removed the Palestinians' "right of veto" on the move. U.S. 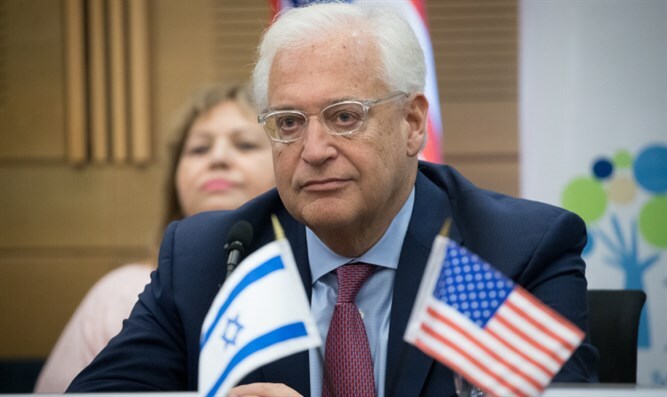 Ambassador to Israel, David Friedman, says that "What the president did when he made this decision was to remove from the Palestinians the right to veto recognition by the United States and other countries of Jerusalem as the capital of Israel." "Arguing that Jerusalem is not the capital of Israel is just not a fair point for them to make," he said. Friedman, who has been working to author a new Middle East peace plan with White House adviser Jared Kushner and Jason Greenblatt, a former Trump Organization attorney, says the trio is "still working on it." "Timing is everything in life. I think we're waiting for the right time. It's really seizing the right opportunity. There are proposals that could be generated that would create a more optimistic future for the Palestinians, and I think that is something that we're anxious to try to advance."